Celebrating Rosh Ha-Shana – Jewish New Year! HomeBlogMinistriesCelebrating Rosh Ha-Shana – Jewish New Year! On this eve of Rosh Ha-Shana, when the whole nation of Israel is preparing to celebrate the commencement of a new year according to the Jewish calendar, we can’t help but look back at the past year and be amazed at what God has done and is doing in this nation. In the bible Rosh Ha-Shana is also called the feast of trumpets and this festival is a very special one both for God and for the nation of Israel. When God gave His commandments and made His covenant with the people of Israel on Mt. Sinai, He sealed it with the sound of blasting trumpets. The trumpets signify the announcing of something to come or something established. In the Book of Revelation 4:1, when John said he heard God’s voice and it sounded like a trumpet, it came to announce what was to come. 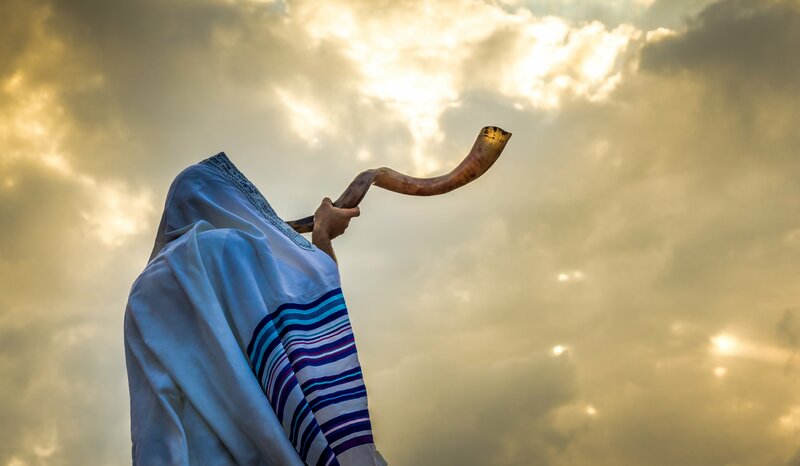 And so as the whole nation of Israel is preparing to celebrate the New Jewish Year blowing the shofars (trumpets), we as believers fixate our gaze on the Lord, in eager await of the last shofar blow that will announce the imminent return of our King Yeshua. Wishing you a wonderfully blessed new Jewish year! May the blessings and favor of the Lord always abide in your house.